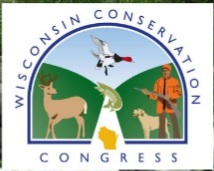 On Monday evening at 7 p.m., every Wisconsin county will host a Conservation Congress spring hearing. The Wisconsin CC is, "the only statutory body in the state where citizens elect delegates to advise the Natural Resources Board and the Department of Natural Resources on how to responsibly manage Wisconsin's natural resources for present and future generations. The Congress accomplishes this through open, impartial, broad-ranged actions." A hold over from the days when Wisconsin government was tasked with protecting public resources, this body is still very active around that state and individuals can help guide policy. The La Crosse meeting will be held in the Onalaska High School Fine Arts Center. If you go, you will get a questionnaire (it's pretty long - you can read it in advance here) which is really a ballot. Questions concerning everything from hunting seasons to water quality management will be on the form. In addition, attendees may introduce resolutions. This is a way to participate and make clear what we expect the DNR and state to do, enforce, monitor, protect, and prioritize. See the Spring Hearing link for more details. And if you are interested in how the John Muir Chapter Sierra Club recommends voting on some of the most important issues, read about their endorsements on page 4 in their spring newsletter.